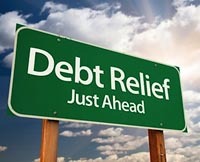 Need to find the best bankruptcy attorney to help you get your Fresh Start? Avvo.com, the lawyer rating site, provides what is probably the most comprehensive information you can find about an attorney online. In a few minutes, Avvo enables you to compare attorneys and make a short list for the right one to represent you. Avvo can be confusing, so I've put together this guide to the best use of it, including how to spot paid-for listings. • Enter your City and State or Zip Code to the right of "Bankruptcy & Debt". Click the magnifying glass/find button or press Enter. • This will give you a list of attorneys in your area sorted by "Best Match", whatever that is. You can also click the "Sort by" down-arrow and select "Avvo Rating". • Beware of "SPONSORED LISTINGS" at the top of the list (they pay Avvo to appear there) and "ADVERTISEMENT" on the right (also paid to be there). Also, "PRO" only means that attorney has paid to not have ads posted on their profile. • You will see a photo and a short bio of each attorney, the number of years that each attorney has been licensed, and his/her Avvo Rating. Be sure to click on "more" if that's present so you can read all of the material. • Scan through the top attorney listings and decide which attorneys you want to check out. • Skip over any "SPONSORED LISTINGS" (paid for) placed just below the top of the attorney's profile. • Check out the full profile, always noticing "More", "See all reviews", and similar so you get to read it all. • If you wish, go to the attorney's website. Click the "Website" button under "Contact Info". What's next? Get a consultation with the attorney (or attorneys) of your choice. Remember that you and your attorney will (or should be) partners in this important journey of getting a Fresh Start through bankruptcy. Make sure you choose an attorney whom you want to be partners with. ← Ready to file bankruptcy? That's good news, not bad.